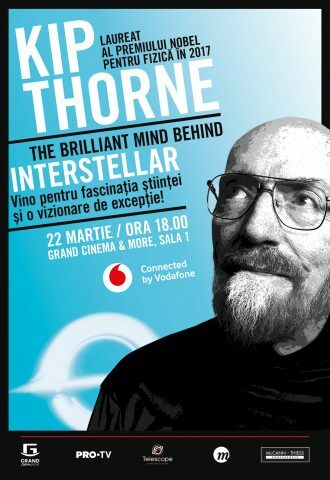 Kip Thorne, Nobel prize winner for Physics in 2017, scientific counselor and executive producer of the movie “Interstellar: Calatorind prin Univers”, comes for the first time in Romania on March 22nd 2019. He will speak at the conference “Science Behind Interstellar”, part of the McCann/Thiess Conferences, an event developed by McCann/ Thiess Conferences and supported by Vodafone. Kip Thorne won the Nobel prize for his observations regarding the gravitational waves and he is the most famous global scientist on the astrophysics implications of the general relativity theory launched by Einstein. During the conference held at Grand Cinema & More starting 18:00 o’clock on March 22nd, Kip Thorne will speak to the physics passionate people about the gravitation quantic theory, time traveling, black holes and the singularities of time and space. The movie“Interstellar: Travelling through Universe”, whose executive producer was, got nominated for 5 Oscar awards and won an Oscar for Best Visual Effects. For the developing of the movie, Kip Thorne worked with the directors Steven Spielberg and Cristopher Nolan. The exploring of Universe’s mysteries represents one of the biggest human desires, through the scientists’ discoveries we understand how little we still know about it. I am happy that together with the McCann Thiess Conferences team we’ve succeeded in organizing for the first time in Romania the visit of the Physics Nobel prize winner, Kip Thorne,” said Bogdan Enoiu, General Manager McCann Worldgroup Romania. Friday, March 22nd: 11:00 o’clock- the visit at the Romanian Academy, where he will meet members of the Academy and students at the Physics Faculty and 18:00 o’clock- the Conference “Science Behind Interstellar” at Grand Cinema & More. Saturday, March 23rd: 11:00 o’clock- the visit at the Physics Institute in Magurele, where he is the guest of Professor Nicolae Zamfir and where he will meet the Romanian and foreign scientists from ELINP (the laser from Magurele, that reached the power of 10 petawatts- considered to be at this moment the strongest laser in the world). 15:00 o’clock- the visit at the Polyvalent Hall in Bucharest where he will meet the children present in the final of the National Robotics Championship – First Tech Challenge. 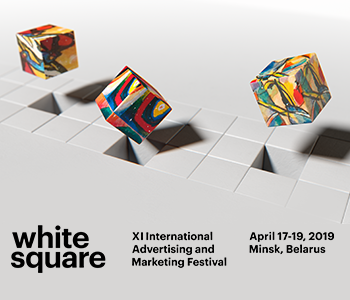 At the invitation of McCann Thiess Conferences in Romania have already been organized a series of event at which took part names that changed the human history: the inventor of the Internet – Tim Berners-Lee and the Wikipedia founder- Jimmy Wales.